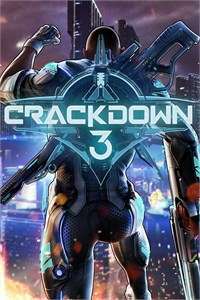 An inside look at development of Crackdown 3. This is Xbox On, the home for all things Xbox in the UK. Join our videogame experts: Benny "Shoot The Thing" Central, Kate "Let’s Talk About Biscuits" Gray and Graeme "AceyBongos" Boyd. We’ll be giving you exclusive content covering the biggest games, and news and events like E3, Gamescom, and Crufts (one of the above may not be true). It’s all you need to know on the latest games you love, Halo, Call of Duty, FIFA, Deus Ex, Battlefront, Tomb Raider and loads more. Never miss a moment and hit http://bit.ly/XboxOnSubscribe now!